Shane Madej Height, Age, Girlfriend, Family, Is He Gay? Home Media Personalities Shane Madej Height, Age, Girlfriend, Family, Is He Gay? 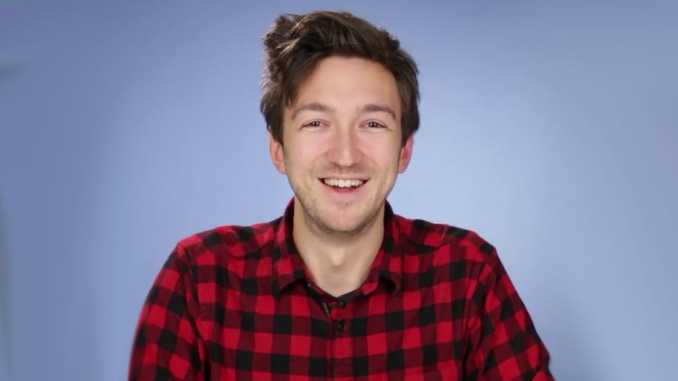 Some of us know Shane Madej too well as the co-host of Buzzfeed Unsolved with Ryan Bergara. He is a known skeptic of ghosts with logical reasons and will always debunk any evidence his co-host Ryan shows him as the possible indication of a ghost being present even in the creepiest locations. For this, many have considered Shane a demon of some sort due to his fearless idiosyncrasy and unique approach to issues in every episode of the highly successful show. While some might still be quizzical on whether or not Madej is like most of us, we will answer that question by being objective just as he always is on the show. Find out more about his bio, sexuality and other facts we have gathered about the media sensation. Shane Madej began his earthly existence on the 16th day of May 1986 in Illinois, United States of America. There are no publicly available records as to who his parents are, what they do for a living and where they are now. Similarly, it is also not known whether or not Shane has a sibling and what his childhood life was like. Nevertheless, the Illinois born media personality whose full name is Shane Alexander Madej grew to become a writer, editor, actor, producer and most especially a YouTube content maker. He has to his credit hit videos like “What Your Birthday Says About You,” “We Let Some Dogs Watch TV And They Were Positively Riveted” and many to come hopefully. Shane Madej started off his career at the American Internet media and news company Buzzfeed in December 2014. His first video was “Unusual Facts About Diet Coke” on BuzzFeed’s YouTube Channel. The video gave an insight into many things people didn’t know about the beverage such as it creating an explosion when mentos are added to it. Shane went on to produce other videos as well as work as a co-producer on a series like “It’s Personal” and has equally collaborated with other BuzzFeed big weights like Sara Rubin and Jen Ruggirello. Steadily in leaps and bounds, Shane grew his popularity working for BuzzFeed. He got more popular in the year 2016 when the news company’s producer Ryan Bergara began a series called BuzzFeed Unsolved. The series is a weekly web-based series which was previously part of the IRL series before it gained huge followership and split to stand on its own. With Ryan and Shane on BuzzFeed Unsolved, the duo delved into discussing unsolved crimes, historical events of an unusual nature, haunted and demon possed places and possessions with most episodes coming in a comedic manner. The location of their films are mostly in Los Angeles and some other parts of U.S with yet a couple having been filmed in other countries. Following how popular it became, Ryan Bergara and Shane Madej created a YouTube channel for the show called BuzzFeed Unsolved Network. So far, BuzzFeed Unsolved has been a huge success to the parent company as it steadily ranks as their most watched show; all thanks to the duo who co-host the show and keep viewers coming back to watch every episode. While Ryan is known to believe in ghosts, Shane is a known skeptic of paranormal activities. The contrast between what the two believe in led to the creation of different fan groups. “Boogaras” for those who believe and follow Bergara and “Shaniacs” for those who are skeptics while there are the “Shitfishes” who don’t fall into any of the groups. So, which are you? Family – Girlfriend or is He Gay? Madej’s career has been hugely successful ever since it began. Typically, what comes next on the mind of many people in our society when one is seemingly doing well is the question of who is his or her significant other. For Shane Madej, that same question has been asked and we sought answers to it and here is what we found. 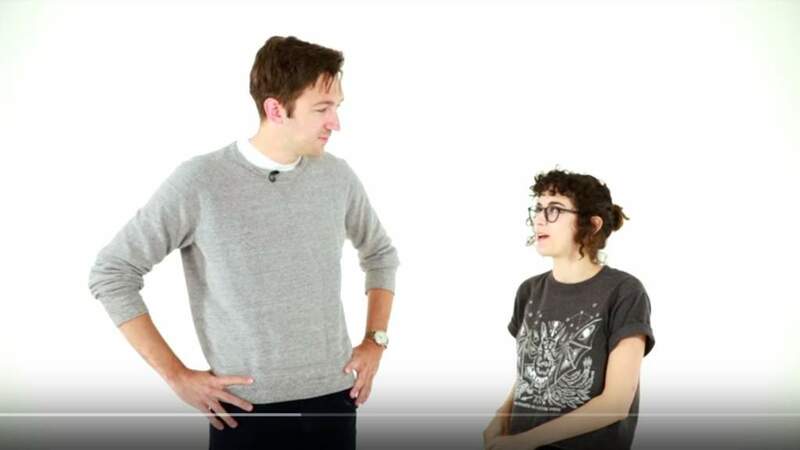 He is in a relationship with fellow BuzzFeed star Sara Rubin who has featured in many of the network’s videos like “How Many of These Awkward Moments Have Happened To You?” and “Flirting or Not Flirting.” A quick look at her bio has it that she was born on the 23rd of October 1989. She began her career at BuzzFeed in March of 2014 with her first video and has grown to become a producer in the company. Being that Shane has a known girlfriend, and he has not come out as one, we can, therefore, rule out the possibility of his being gay. However, that response might not satisfy a lot of folks. We dug deeper and learned more from a post Ryan and Shane made on Reddit, where they requested fans to ask them questions. A fan asked if they were aware that a lot of gays love BuzzFeed Unsolved, following this question, a couple of other gays identified on the thread that they indeed love the show. This is the closest we have known Shane to be associated with the word gay. Should we make more discoveries, we will let you know about them. Shane Madej is no doubt a tall man, he stands at a height of 6 feet 4 inches or 1.93 m. He has a slim body build and has been like that for most of the time we have known him. He spots brown hair with light brown eyes.